Today, the building of John Paul II Middle School is of the most functional and best equipped in our city. It has thirty renovated and equipped with modern computer and audio-visual utilities classrooms. Among them there are two IT laboratories, where students have the opportunity to explore the world of computers based on software from Apple and Microsoft. Each classroom and administrative areas have access to the Internet. It is worth emphasizing that the building also holds a unique lab dedicated to teaching new and innovative school subject which is mechatronics. In recent years students have achieved many notable successes in various competitions. Our school boasts numerous winners and finalists of Provincial Subject Contests, among others, Chemistry, History, Geography or foreign languages. Several times our students won the District Art Confrontations of Schools or Dance Forms Contests as well as literary and vocal competitions. Students also made their way to the finals of the National IT Competition and occupied leading positions in the International Robot Tournament. The school also has a very good sport base. It includes a gymnasium and a modern sports hall opened in 2007. The infrastructure and qualified coaching staff develop students' interest in sports. 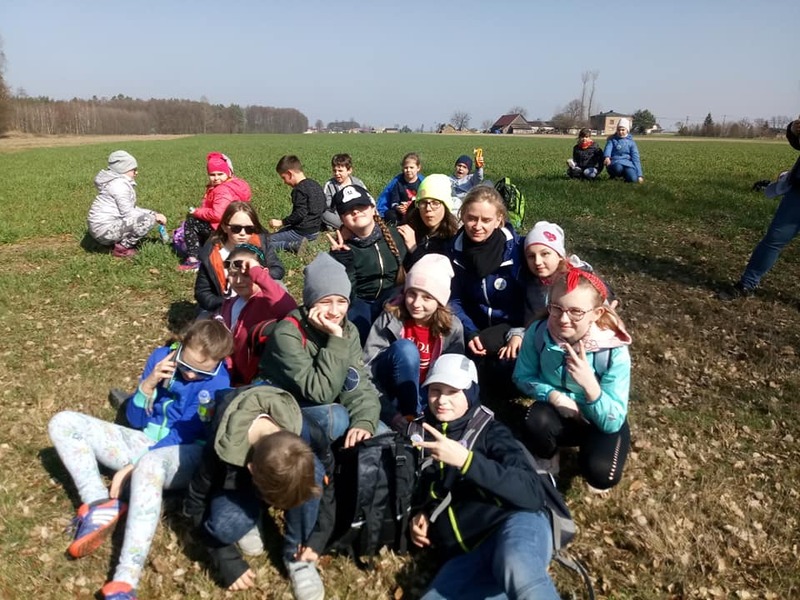 Junior high school students train a variety of disciplines: athletics, volleyball, basketball, volleyball, soccer and hockey and they take part in sporting events, achieving a number of team and individual successes. Particular successes are held by athletes who for several years have occupied top positions in the Polish Championships of Youngsters. Our city due to its thousand-year history has many historic buildings with rich, glorious past. These include the castle complex , the Bernardine monastery and St . Andrew Dominican parish church, the fortified tower , the city park and numerous houses of the nineteenth century. The building of our school can be included in the list. Its story begins in the years 1920-1922 . It was then that the construction was initiated by an entrepreneur from Lublin. Two wings were built with municipal funds . Money for the third were allocated by the trader himself. In this way the school building came into being at the then Solna street in Łęczyca. Since 1926 it housed public schools: Marshal Józef Piłsudski Primary School No. 1 (male), Queen Jadwiga Public School No. 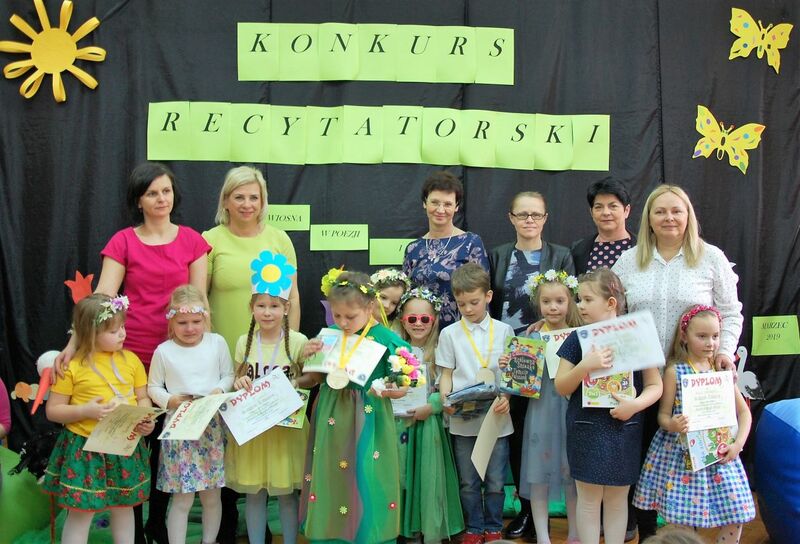 2 (female) and Berek Joselewicz Primary School No. 3 (dedicated to Jewish youth). All schools worked officially until 18 January 1940, until the closing of Polish schools by the German occupiers. In 1931 the Training School was moved to the building and it played a very important role in the practical preparation of candidates for teaching profession. The school operated until the outbreak of World War II. In early September, the school building served as a Polish army barracks. After heavy fighting of the Army "Poznań" and "Pomorze" with the Germans in the Battle of Bzura our city was occupied by the Nazis. Since 1940 German authorities moved part of their offices from Ozorków to the building at Solna street. In the early days of the occupation, the German authorities approved the launch of Polish schools. However, teaching of Polish history and geography or singing were banned while teaching German was increased to five hours a week in classes V-VII. Unfortunately, Polish schools did not operate too long. As early as 18 January 1940 Łęczyca county ordinance E. Vogel commanded the closure of Polish schools within three days. At this point, it must be emphasized that the youth of Łęczyca and its surrounding areas were not left without education. There were in fact people who, despite the great dangers, risking their own lives and the lives of loved ones, organized a secret underground teaching. After the liberation, Łęczyca county administrative authorities were placed in the building and only at the end of 1945 it was given back to schools: Public School No. 1 (SP No.1), Public School No. 2 (SP 2) and the Training School. It is worth noting that the Common Schools (SP) became 7-year primary schools (SP) from the school year 1947/1948. Later, there were also classes held by the Evening School for Adults, Pedagogical High School (LP) and its adjacent Junior High School (after the reform, a 11 - year comprehensive school basic level (classes I-VII) and high school (grades VIII-XI), then LO). 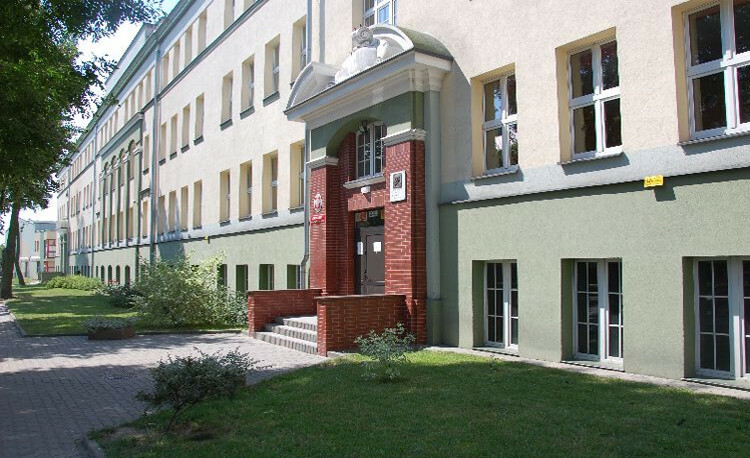 Since the 1966-1967 school year , the Secondary School moved to its own building at Konopnicka street. From that moment Primary School No. 1 and No. 2 had entire teaching rooms in the building for themselves. In 1966 the Social Committee for Construction of the Gym was created. Its initiator was a former Head Teacher of Elementary School No. 2 - J. Rejment. The construction of the gym was completed after five years. In 1972 Primary School No. 2 was renamed the Collective Municipal School of Łęczyca, subordinating all primary schools from the area of ​​the Łęczyca municipality. At the 33rd anniversary of the liberation of Łęczyca, on 18 January 1978 the Collective Municipal School was given the name of Heroes of the Battle of Bzura, and on 7 June 1986 Elementary School No. 1 was named after Janusz Korczak. As a result of the reform of the education system in 1999, a two-stage education system was transformed into a three-stage structure. As a result, from September 1st 1999 Middle School in Łęczyca began its operations. For two more years Primary School No. 2 was also located in the building. Since 1 September 2001 the Middle School has existed independently in the building and facilities began to change. A library with a reading room was created, and a kitchen with a canteen were adapted to the needs of a big school. In subsequent years, thermo-modernization of the building was made, window frames were replaced, hallways were renovated and electrical installation was replaced. The first head teacher of the facility was Elżbieta Sterlińska, who held the post in the years 1999-2003. Then it was Wanda Lepczak from 2003 to June 2004, Beata Muszyńska July-August of 2004. Since the 2004/2005 school year Wanda Lepczak has been the school head teacher. Deputy head teacher was Ryszard Ziarkowski in the years 1999-2009 and Marzena Michalska has been the deputy head teacher since 2003. The date of 2 June 2006 has become one of the most important in the history of the school. It was then that it was given the name of the Great Pole - John Paul II, who has been a widely recognized, undisputed authority for today's youth. The choice of the school patron belonged to the school youth. The ceremony of awarding the school's name began with the Holy Mass celebrated by the Łowicz Bishop Andrzej Franciszek Dziuba, who blessed the school’s standard which was funded by students’ parents. During the passage to school young people lit candles in the Avenue of John Paul II. At the school building a plaque with the image of our patron was blessed. Its unveiling was made by its founder, the mayor of our city – Krzysztof Lipiński. 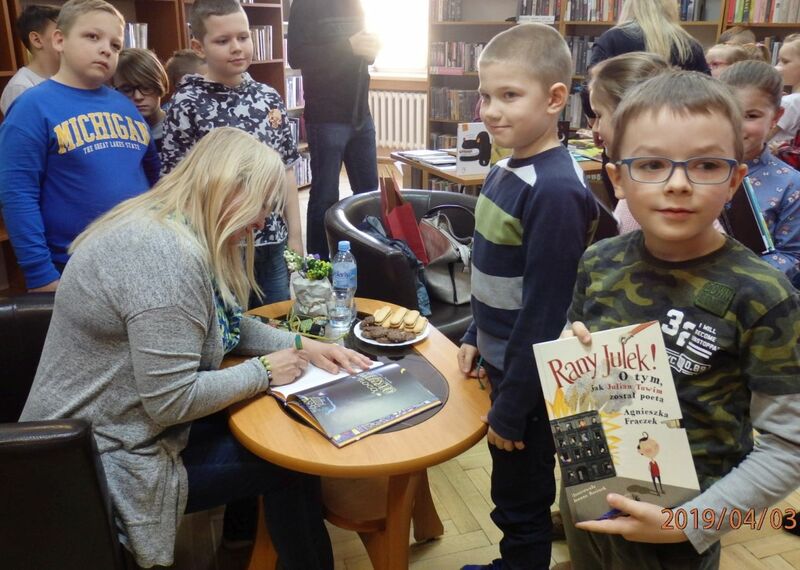 The ceremony was continued at the gymnasium, where the head teacher Wanda Lepczak welcomed the guests and the chairman of the City Council Krzysztof Urbański read the act of naming the school. After sinking special "nails" in the standard’s shaft, parents donated the banner to the school community. From the hands headmistress took him standard-bearer youth. This was followed by the act of oath of students and premiere singing of the school anthem created by the school teachers - Ewa and Jerzy Pawałowski. The artistic program entitled "Peter" honored the ceremony and was performed by young people and directed by the above mentioned teachers. The culmination of the show was the singing of "Barca". This huge project was highly praised by the education and church authorities, the guests and friends of the school. This day fell deeply in the hearts of young people and adults. We gratefully acknowledge the invaluable assistance in the drafting of the text to Ms. Lucyna Sztompka - President of the Society of Friends of the Łęczyca Region, Ms. Alicja Lisiecka - teacher of history and civics, and Ms. Maria Szałapska - Polish language teacher.